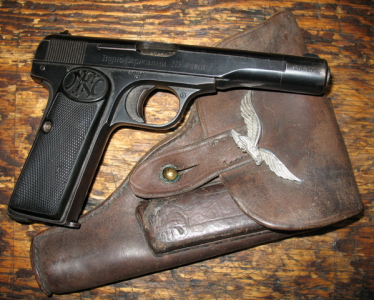 The FN Model 1910 is a semi-automatic pistol of the famous American designer John Browning, manufactured by Fabrique Nationale de Herstal from Belgium. For John Browning, this gun is represented accessory business. 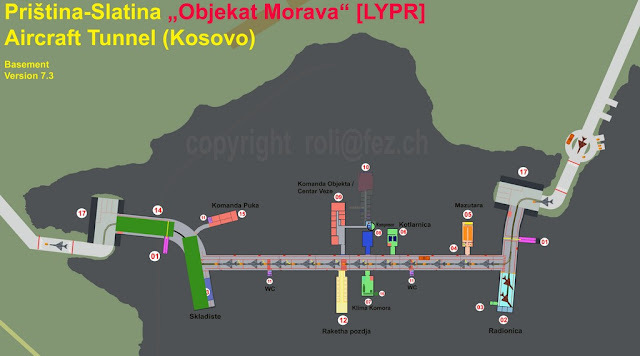 A dozen models of his various weapons have already been produced in both the FN factory in Belgium and the Colt Firearms in the United States. As in "Colt" were not interested in the production of this model Browning decided to patents and products only in Europe. 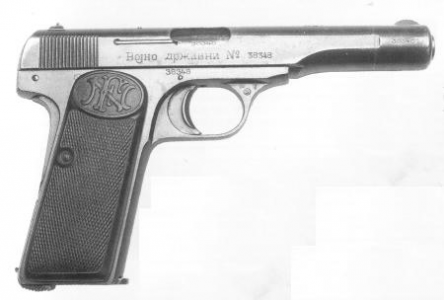 FN Model 1910/22 vas a variant of the FN Model 1910 originally intended for the Yugoslav (kingdom SHS) military. This was a larger model with a longer barrel (113 mm), slide extension, and a longer grip frame to accommodate extra two rounds. 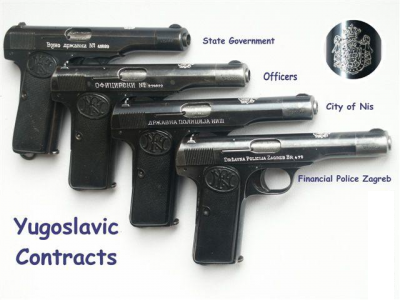 This model was aimed at military and police contracts and many examples were produced for various agencies. 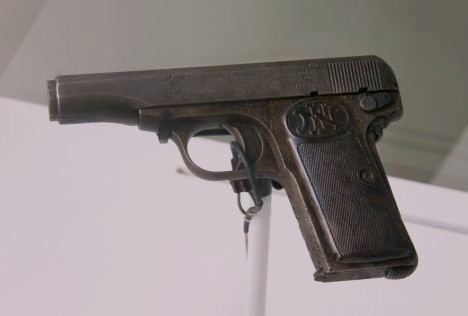 It incorporated the standard Browning striker-firing mechanism and a grip safety along with a magazine safety and an external safety lever (known as the "triple safety") in a compact package. 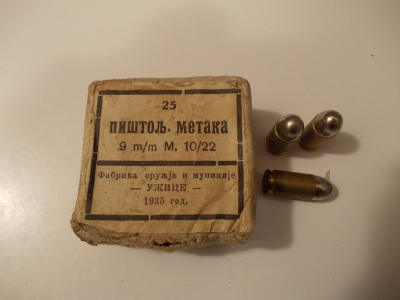 It was produced in both 9x17mm Browning (8 round per magazine), and 7.62x17mm Browning (9 rounds per magazine), there were also 20 round 9x17mm magazines produced for Yugoslav models, as well as a holster-shoulder stock. Due to its compactness and advanced design, and especially due to its exceptional safety, this pistol was a natural choice for police and gendarmerie forces throughout Europe. 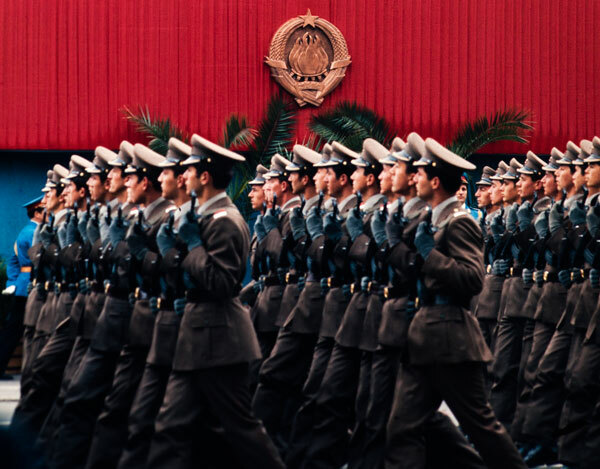 In just a few years from the beginning of the production until the outbreak of World War I, it was already in the hands of the police of Belgium, the Netherlands, and Denmark, and after its completion, its application spread to many other countries. 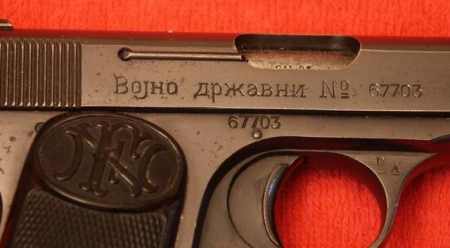 With the FN Model 1910 serial number 19074, Gavrilo Princip was on St. Vitus Day on 28 June 1914 in Sarajevo assassinated the Austro-Hungarian Archduke Franz Ferdinand. 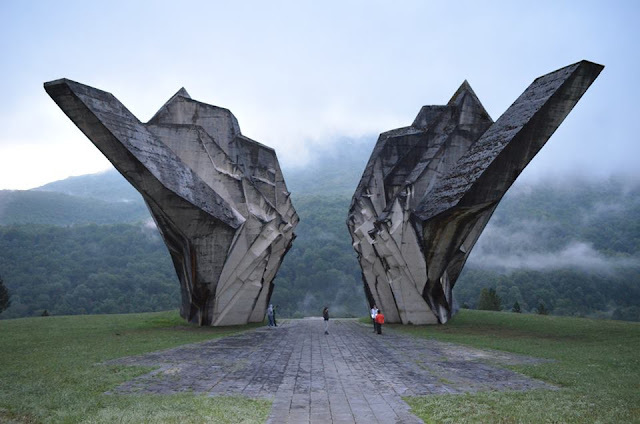 After World War I, the Ministry of the Army and Navy of the Kingdom of Serbs, Croats, and Slovenes has announced an international competition for the purchase of new guns. 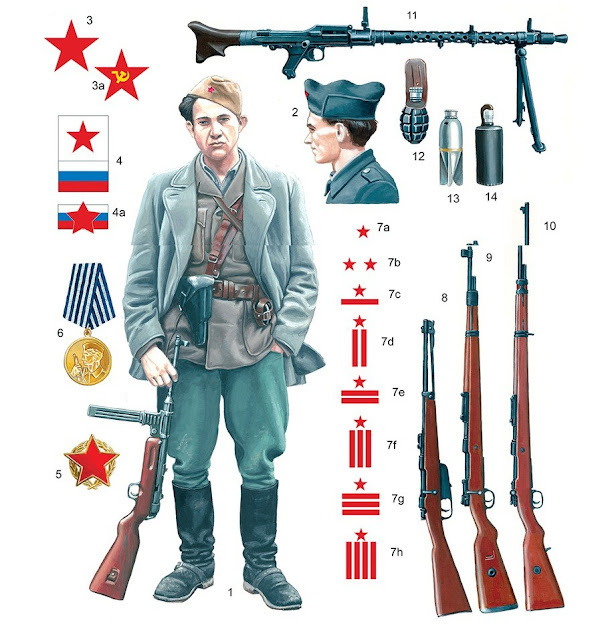 Factory FN won the competition with the 1910 model, but the contractor demanded that the gun is extended for more precision and that the frame capacity was increased by two bullets. This modified model 1910 is labeled 1910/22, and although it is based on the same construction, many experts consider it another weapon for extensive refinement.